Google is cracking down on the amount of data it shares with Gmail app developers to avoid another privacy problem for the email product. Apps that don’t offer email or productivity services will be cut off from any Gmail data, while other developers will be unable to sell the data they collect or use it for targeted advertising, The Wall Street Journal reports. Those apps that can still collect data will undergo mandatory security assessments that can cost up to $75,000. The move threatens to kill off hundreds of developers reliant on Gmail data that they sell to advertisers. Google’s prophylactic measures to prevent another privacy debacle threaten to stifle innovation, said Kevin Bankston, a lawyer and director of the nonprofit Open Technology Institute. “My concern is that there is going to be an overcorrection, where we end up making it harder for users to leverage their data that is stored with the big platforms.” . Amazon was granted a US patent for Alexa technology to identify emotional or physical states, like if someone is bored, excited, tired or sick. Someone coughing and sniffling, for instance, may be inferred to have a cold and get an offer for one-hour cough drop delivery. “Providing these responses could help Amazon sell Alexa owners more stuff via voice shopping and even serve targeted advertisements,” reports CNET. Keep in mind, though, that Amazon routinely secures patents that hint at future ambitions but are nowhere near reality. (Giant , anyone?) Alexa’s personalization and voice commerce adoption still has a long way to go. “Plus, especially when it comes to people’s health, customers may find a new Alexa feature that notices emotional or physical changes invasive and creepy, even if meant to be helpful.” . Brands like Unilever, Procter & Gamble and Coca-Cola underwrote content production and audience growth during the heyday of television. History is now repeating itself with direct-to-consumer startup brands rushing into online, targetable media channels. The result is an emergent class of marketers that prefer to pull the media levers and “(see) the value in owning the data and having carte blanche access to it,” rather than dumping it into a “data lake at some large agency,” writes Darren Herman of Bain Capital, on Medium. “Agencies still exist and they haven’t gone away. … But IMHO, the centralization of all media execution within a media agency now and in the coming years is and will be on a decline.” . Snap will produce 12 new shows and formalize its original programming under the Snap Originals brand, the company announced on Wednesday. Snapchat’s audience growth has plateaued, but it’s been able to maintain steady viewership of its original scripted shows, which viewers watch on average three times per week, Digiday reports. 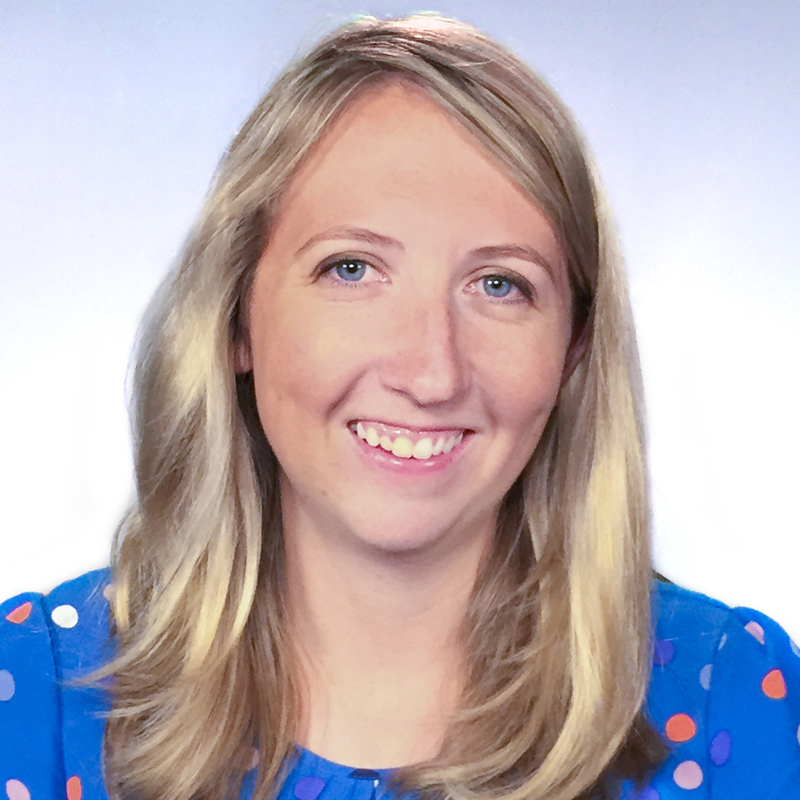 By pushing into serialized scripted content and docu-series, which will be four to five minutes long and filmed vertically, Snap is hoping to drive more appointment viewing through its app. It’s also hoping to boost revenue by inserting a couple of unskippable, six-second ad units rounded out by sponsored content and product placement opportunities. .
Last week UK insure-tech startup Flock published findings from their own treasure trove of customer data, looking in particular at what steps commercial pilots in the UK take to keep insurance costs down while using the Flock app. In case you didn’t know, the Flock app crunches a number of different metrics to provide pilots with on-demand quotes for individual drone flights. 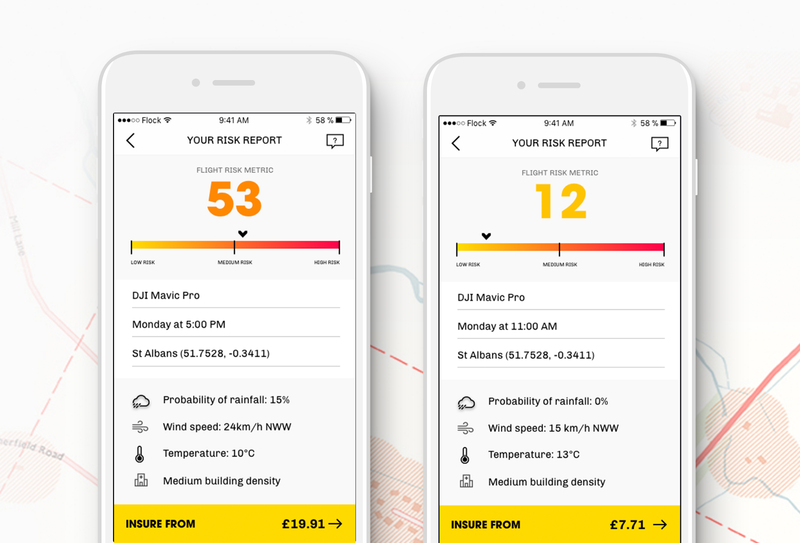 The startup partnered with German insurance giant Allianz earlier this year and has raised over £2m from investors so far. Flock provides insurance policies for professional and recreational pilots. The research from Flock found that, on average, Flock pilots will compare 15 different risk-dependent quotes before they purchase a policy. In practice, this means they will adjust things like the proposed date, time and flight plan of a particular mission. The app shows how these different metrics correspond to insurance policy prices. As you would expect, the safer the flight is assumed to be, the cheaper the policy. This real-time risk assessment is having results. Pilots are using the data to fly safer. Flock says that the average Flight Risk Metric decreases by 4.5 from the start of the process to the end. In a matter of seconds, pilots are able to determine where and when it is safest to fly and save money. On-demand insurance means different things to different pilots. Some want to nab a policy on the day, but others are happy to book one in advance. Flock states that 45% of their flights are booked in advance using the company’s Flight Planning Tool. With the tool, Flock pilots can gauge predicted risks up to ten days in advance of a mission. The result is that Flock pilots typically save 15% on each policy as a result of assessing their original plan, reducing their risk and making amendments to lower that risk. U.S. Customs and Border Protection encountered only six immigrants on the U.S-Mexico border in the first half of fiscal year 2018 whose names were on a federal government list of known or suspected terrorists, according to CBP data as of May 2018 obtained by NBC News. Overall, 41 people on the Terrorist Screening Database were encountered at the southern border from Oct. 1, 2017, to March 31, 2018, but 35 of them were U.S. citizens or lawful permanent residents. Six were classified as non-U.S. persons. On the northern border, CBP stopped 91 people listed in the database, including 41 who were not American citizens or residents. Border patrol agents, separate from CBP officers, stopped five immigrants from the database between legal ports of entry over the same time period, but it was unclear from the data which ones were stopped at the northern border versus the southern border. The White House has used the 4,000 figure to make its case for building a wall on the southwest border and for closing the government until Congress funds it. They have also threatened to call a national emergency in order to get over $5 billion in funding for the wall. Then a chance meeting bought Mr. Nix into contact with Mr. Bannon, the Breitbart News firebrand who would later become a Trump campaign and White House adviser, and with Mr. Mercer, one of the richest men on earth. Mr. Nix and his colleagues courted Mr. Mercer, who believed a sophisticated data company could make him a kingmaker in Republican politics, and his daughter Rebekah, who shared his conservative views. Mr. Bannon was intrigued by the possibility of using personality profiling to shift America’s culture and rewire its politics, recalled Mr. Wylie and other former employees, who spoke on the condition of anonymity because they had signed nondisclosure agreements. Mr. Bannon and Mr. Mercer declined to comment. He ultimately provided over 50 million raw profiles to the firm, Mr. Wylie said, a number confirmed by a company email and a former colleague. Of those, roughly 30 million contained enough information, including places of residence, that the company could match users to other records and build psychographic profiles. Only about 270,000 users — those who participated in the survey — had consented to having their data harvested. The data analytics firm that worked with Donald Trump’s election team and the winning Brexit campaign harvested millions of Facebook profiles of US voters, in the tech giant’s biggest ever data breach, and used them to build a powerful software program to predict and influence choices at the ballot box. However, the app also collected the information of the test-takers’ Facebook friends, leading to the accumulation of a data pool tens of millions-strong. Facebook’s “platform policy” allowed only collection of friends data to improve user experience in the app and barred it being sold on or used for advertising. The discovery of the unprecedented data harvesting, and the use to which it was put, raises urgent new questions about Facebook’s role in targeting voters in the US presidential election. An Old Etonian with a degree from Manchester University, Nix, 42, worked as a financial analyst in Mexico and the UK before joining SCL, a strategic communications firm, in 2003. From 2007 he took over the company’s elections division, and claims to have worked on 260 campaigns globally. He set up Cambridge Analytica to work in America, with investment from Robert Mercer. Aleksandr Kogan was born in Moldova and lived in Moscow until the age of seven, then moved with his family to the US, where he became a naturalised citizen. He studied at the University of California, Berkeley, and got his PhD at the University of Hong Kong before joining Cambridge as a lecturer in psychology and expert in social media psychometrics. He set up Global Science Research (GSR) to carry out CA’s data research. While at Cambridge he accepted a position at St Petersburg State University, and also took Russian government grants for research. He changed his name to Spectre when he married, but later reverted to Kogan. A former investment banker turned “alt-right” media svengali, Steve Bannon was boss at website Breitbart when he met Christopher Wylie and Nix and advised Robert Mercer to invest in political data research by setting up CA. In August 2016 he became Donald Trump’s campaign CEO. Bannon encouraged the reality TV star to embrace the “populist, economic nationalist” agenda that would carry him into the White House. That earned Bannon the post of chief strategist to the president and for a while he was arguably the second most powerful man in America. By August 2017 his relationship with Trump had soured and he was out. Rebekah Mercer has a maths degree from Stanford, and worked as a trader, but her influence comes primarily from her father’s billions. The fortysomething, the second of Mercer’s three daughters, heads up the family foundation which channels money to rightwing groups. The conservative mega‑donors backed Breitbart, Bannon and, most influentially, poured millions into Trump’s presidential campaign. It comes only weeks after indictments of 13 Russians by special counsel Robert Mueller which stated they had used the platform to perpetrate “information warfare” against the US. On Friday, four days after the Observer sought comment for this story, but more than two years after the data breach was first reported, Facebook announced that it was suspending Cambridge Analytica and Kogan from the platform, pending information over misuse of data. Facebook instructed external lawyers and warned us we were making “false and defamatory” allegations, reserving Facebook’s legal rights. Last month both Facebook and the CEO of Cambridge Analytica, Alexander Nix, told a parliamentary inquiry on fake news that the company did not have or use private Facebook data. Wylie, a Canadian data analytics expert, who worked with Cambridge Analytica and Kogan to devise and implement the scheme, showed a dossier of evidence about the data misuse to the Observer which appears to raise questions about their testimony. He has passed it to the National Crime Agency’s cybercrime unit and the Information Commissioner’s Office. It includes emails, invoices, contracts and bank transfers that reveal more than 50 million profiles – mostly belonging to registered US voters – were harvested from the site in the largest ever breach of Facebook data. Facebook on Friday said that it was also suspending Wylie from accessing the platform while it carried out its investigation, despite his role as a whistleblower. At the time of the data breach, Wylie was a Cambridge Analytica employee, but Facebook described him as working for Eunoia Technologies, a firm he set up on his own after leaving his former employer in late 2014. The evidence he supplied to authorities in the UK and US includes a letter from Facebook’s own lawyers sent to him in August 2016, asking him to destroy any data he held that had been collected by GSR, the company set up by Kogan to harvest the profiles. The algorithm and database together made a powerful political tool. It allowed a campaign to identify possible swing voters and craft messages more likely to resonate. “The ultimate product of the training set is creating a ‘gold standard’ of understanding personality from Facebook profile information,” the contract specifies. It promises to create a database of 2 million “matched” profiles, identifiable and tied to electoral registers, across 11 states, but with room to expand much further. Cambridge Analytica told the Observer that its contract with GSR stipulated that Kogan should seek informed consent for data collection and it had no reason to believe he would not. GSR was “led by a seemingly reputable academic at an internationally renowned institution who made explicit contractual commitments to us regarding its legal authority to license data to SCL Elections”, a company spokesman said. SCL Elections, an affiliate, worked with Facebook over the period to ensure it was satisfied no terms had been “knowingly breached” and provided a signed statement that all data and derivatives had been deleted, he said. Cambridge Analytica also said none of the data was used in the 2016 presidential election.